Kraus offers a fresh take on classic ceramic with a vessel sink that complements both transitional and modern bathroom décor. 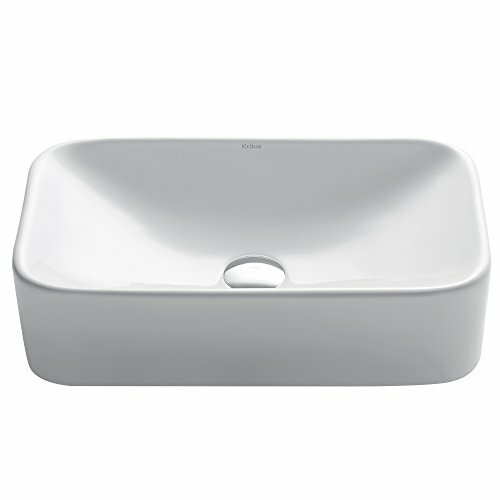 The smooth, non-porous surface of this ceramic sink is naturally durable and hygienic. For an easy-to-clean high-gloss finish, each bathroom sink is protected with a premium baked-on glaze. This sink can be installed above-counter or semi-recessed for all your stylish bathroom ideas. Pair it with any single hole vessel faucet for a beautifully coordinated look.